December has been rough. Holidays in the face of waning bank accounts, complicated families, and confusing relationships. Not to mention a lull in work, freezing weather, un-insulated apartments, and the flu. Oy. I have been spending time in the kitchen and do have a fat handful of recipes I want to share. Coq au vin, lemon meringue pie, and a crispy potato galette to name a few. But to begin: something simple. On Monday night, as the blizzard rattled against the apartment windows, I opened Amanda Hesser’s The Essential New York Times Cookbook. It’s a wonderful tome of a cookbook. I had already spent an hour or so reading it that morning in bed. This book, a compendium of recipes published in the New York Times from 1850 to today, is a history lesson, a culture collection, a series of personal stories. 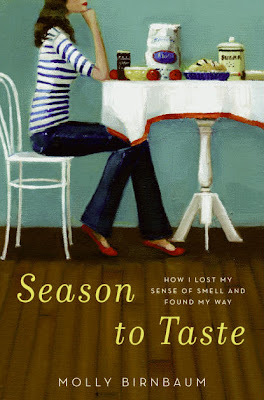 To write it, Hesser began by asking for feedback from the public: “Readers wrote me about recipes that had held together their marriages, reminded them of lost youth, given them the cooking bug, and symbolized their annual family gatherings,” she says in the introduction. I had trundled out in the snow that afternoon to buy the few ingredients I would need for a chicken dish—the one that Hesser’s husband served the first time he cooked for her, she writes. It felt like weeks since I was last at home, cooking dinner for just two, and I wanted an easy, quick meal: Chicken Roasted with Sour Cream, Lemon Juice, and Mango Chutney. That night, wearing slippers, wool socks, and two sweaters to combat the frustrating cold of a not-properly-winterized apartment, I mixed the sour cream, mayonnaise, curry powder, and mango chutney in a bowl, squeezing in lemon juice to taste. It created a silky sauce, which I poured over the chicken breasts that I had sliced in half and lined up in a baking dish. Into the oven: 450 degrees. As dinner cooked, Matt and I sat on the couch with tumblers of whisky, a blanket over our legs, seeking warmth in our cold apartment on a stormy night. We began watching a movie about the end of the world, a silly-bad one, the kind with subpar special effects and acting so hokey we had to laugh. It’s been a rough month, and it felt good to laugh again. We ate dinner at the kitchen table, near the space heater, the room filled with the booming sounds of a Hollywood apocalypse. The chicken was moist, and its sauce tangy and sweet. I served it alongside rosemary-roasted potatoes and green beans sautéed in butter. Recently it’s felt like everything in life is confusing and complicated. But not this. This dinner was simple. It was good. “This is delicious,” said Matt, and I agreed. Preheat the oven to 450 degrees Fahrenheit. Lay the chicken in a medium-sized baking dish. Whisk together the mayonnaise and sour cream in a bowl. Add the chutney and curry powder and whisk until smooth. Add the lemon juice a bit at a time, tasting as you go. It should be tangy. Pour the sauce over the chicken. Bake until chicken is just cooked through, about 15 minutes. Season with pepper. Serve. Every December, my mother bakes cookies. She makes five different kinds and the selection has never changed. Will never change, so I thought. After all, her cookie assortment has been exactly the same since I was a little girl and my brother and I, raised in a home that celebrated both Rosh Hashana and Easter, left plates of sweets out for Santa on Christmas Eve. I love my mother’s cookies. There are little pecan-studded rounds baked until bronze and coated in thick layers of powdered sugar, which are impossible to eat without a dusting on your clothes, like snow. There are oversized chocolate-chunk “Monsters,” peanut butter disks imprinted with Hershey’s Kisses, and gingerbread men decorated with garish sprinkles. My favorites are the sugar cookies, the ones that my Danish grandfather used to make when my mother was young, which are piped into delicate circles on sheets of parchment paper. Today, the production is down to a science. These cookies are written in stone. But there I was this weekend, spending some time at home, helping my mother bake. Inspired by Kim Boyce’s new cookbook, Good to the Grain, which I bought on a whim the week before, I decided to test something new. Normally, I would not be drawn to a cookbook that focuses on the use of whole grain flours. Cookies aren’t meant to be healthy, I think. But praise for Boyce has been all over the web. And, as I had read, her use of alternative flours like barley, corn, or rye add flavor and texture—not health, believe me!—to her goods. I had already made her “Chocolate Chocolate Cookies,” which are tender and nutty with spelt flour and cacao nibs. I’d been eating her “Huckle Buckle,” a tame yet flavorful coffee cake baked with layers of blueberries, for breakfast for days. But with my mother on Friday, I tried Boyce's Gingersnaps. These gingersnaps use fresh ginger as well as powdered, and a bit of whole-wheat flour alongside the white. They aren’t crunchy but soft and chewy, intensely flavored with a spicy bite. I don’t think I can say much more than this: Make these cookies. Molly, can you send me the gingersnap cookie recipe? It is a keeper and I want to make some for my Xmas cookie assortment. What ingredients do I need to buy? Mix together the melted butter, sugars, molasses, ginger, and egg. Sift the dry ingredients into the same bowl. Stir to form a batter. Wrap the dough in plastic and chill for at least 2 hours, preferably overnight. Preheat the oven to 350 degrees Fahrenheit, positioning two racks to the upper and lower third. Grease two baking sheets. Pour the final 1/2 cup of sugar into a bowl. Pluck pieces of dough around one tablespoon in size, toss in the bowl of sugar, and then roll into balls. Toss each ball back into the sugar for a second time, rolling them around until, as Boyce says, “they are sparkly white.” Place each on the baking sheets, leaving at least 2 inches between them all. We walked among the dilapidated foundations in the forest, the remnants of buildings that had burnt to the ground years before. I was small, and my brother even smaller, so we moved slowly. My grandparents led. In the woods, we sat on the edge of cinder-crusted stones, where we could see ancient logs and overgrown paths. We traced the outline of what was once a swimming pool with our fingers in the air, and then threw rocks into the nearby stream. “It used to be great,” said my grandmother, who stood there in her fur-lined coat, with her shock of red hair. To me, she always seemed sad. It was a few days after Thanksgiving. That’s when we always went to “The Hotel,” the small Catskills resort owned by my great-grandparents, the one where my grandmother grew up. After all, we were already at my grandparent’s house upstate for the holiday, and the remnants of my grandmother’s past were only an hour away. There wasn’t much left. These trips to the woods confused me. I didn’t understand how empty foundations and slapdash piles of rock could mean anything, really. But there were still moments of magic: the brittle leaves crunching under foot, the scent of wet soil on my shoes. I loved the rustling branches, the splintered light through the trees. Once my grandfather fashioned me a walking stick out of a small fallen limb. He carved my name into its flesh with a pocketknife. I kept it stored in my bedroom closet for years. On our way home from “The Hotel” we stopped at the cemetery and stood in front of my great-grandparent’s graves. Bertha and Hymie, their names chiseled in stone. My parents wanted my brother and me to understand the path of our family, and the depth of the past. But we were too focused on finding the biggest, smoothest stones to place on top of the graves. When we got home, we ate chocolate cake. It was leftover from my birthday, which always falls within days of Thanksgiving. I wasn’t a fan of celebrating my birthday around the holiday then. The attention at the dinner table made me uncomfortable. I didn’t like blowing out the candles while everyone watched. I especially hated not having a choice. I always wanted a piece of pie. This year, the day after Thanksgiving, I visited my grandmother at a nursing home here in Boston. She is almost 92, and fading fast. I drove there with my brother, following my father in his car. We traveled in the blinding afternoon light, speeding down the Tobin Bridge toward Charlestown. I was tired and cranky. All I wanted was a nap. When we walked in to the nursing home, we were greeted with the scent of old. Old people, old clothes, old food. I felt immediately uneasy and breathed through my mouth as we took the elevator up to the fourth floor and walked through a living space, a kitchen, and into my grandmother’s bedroom. She moved here from the house in upstate New York where she had lived for more than thirty years just this summer. She’s still adjusting to the change. These days, my grandmother is lucid. But she’s also lost. On this visit, she told me about the job she just began at Macy’s, greeting shoppers and picking out their clothes. She is paid two hundred dollars a week, she told me, and therefore just purchased her own condo back in New York. Sometimes, she said, my grandfather comes up from Florida to visit. I listened. I nodded. And as I did, I felt simultaneously old and very young. My grandmother had a stroke more than a decade ago. She can no longer walk, or use her left arm. My grandfather, she often forgets, died in 2008. I hope that when I reach 90, my imagination will remain just as strong. When we got home later that afternoon, I was hungry. For Thanksgiving, I had baked a pumpkin pie, a pecan pie, and a chocolate cake. This chocolate cake, like my grandmothers, was for my birthday. The night before we had stuck candles in it and sang. I’m 28 years old now. And I choose pie. In the original recipe, this pie is baked into what looks like a magical tower in a 10-inch spring-form pan. I used a regular pie plate. Therefore, I adjusted accordingly. Also, never a fan of booze-laden desserts, I left out the rye. The recipe below is my interpretation. It's very good. On a lightly floured surface, roll chilled dough into a circle just a few inches larger than the diameter of your pie plate. Lift it and let it settle into pan, fitting the dough down into the edges. Trim the excess dough hanging over the rim with kitchen scissors so that it hangs over by one inch. Fold or pinch in the excess to create a neat border. Use the prongs of a fork to make indents and seal it all in place. Refrigerate in pan until very cold and firm, at least 45 minutes. Heat oven to 400 degrees. Prick bottom of dough with a fork. Lay a piece of parchment or wax paper in pan, then a piece of aluminum foil. Fill foil lining with dried beans or pie weights to top of pan. Bake 15 minutes, until the sides of the crust have set and turned a very light golden brown. Remove from oven and lift out the beans or weights, foil and parchment. Bake 10 - 15 minutes more, until also a light golden brown. Let cool at least 30 minutes before filling. Bake 50 to 60 minutes, just until filling is firm and a wooden skewer comes out clean when inserted into center. (If the overhanging crust becomes too dark, take a sheet of aluminum foil and wrap it around the edges of the pie to prevent further browning.) Let cool completely. Best served warm, with whipped cream.